July 29, 2018 - Camera traps were set up in a protected tropical rainforest of Central Sumatra. 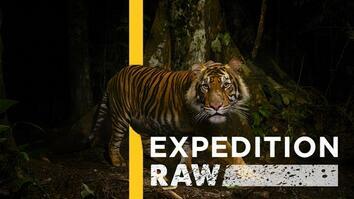 They caught Rima, a wild Sumatran tiger, and her cubs on video. Sumatran tigers are critically endangered. Fewer than 400 are alive today. Tiger cubs are born with closed eyes, and cannot see well for weeks. This makes them very dependent on their mother. Experts see the appearance of these cubs as a sign of hope because it shows that protected areas are working as safe havens for tigers to reproduce. Rima was also caught mating … a very rare site in the wild. 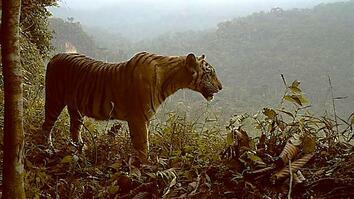 Camera traps were set up in a protected tropical rainforest of Central Sumatra. 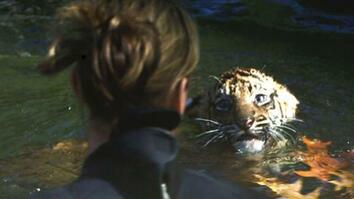 They caught Rima, a wild Sumatran tiger, and her cubs on video. Sumatran tigers are critically endangered. Fewer than 400 are alive today. Tiger cubs are born with closed eyes, and cannot see well for weeks. This makes them very dependent on their mother. Experts see the appearance of these cubs as a sign of hope because it shows that protected areas are working as safe havens for tigers to reproduce. Rima was also caught mating … a very rare site in the wild.